Each year, around five people are killed in rip currents around the coast of Aotearoa New Zealand. 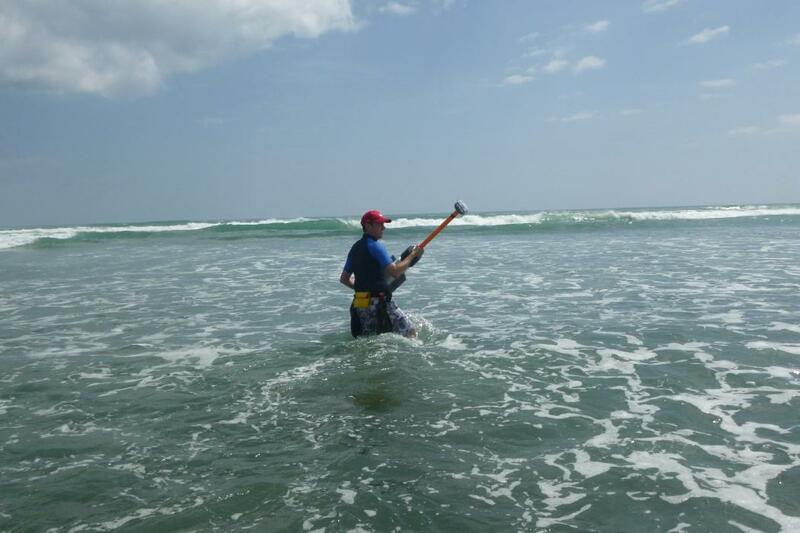 Surf lifeguards attribute around 85 percent of their rescues, approximately 700 per year, to these fast, offshore flows of water. The drifters, equipped with GPS trackers, are able to measure the speed of currents in the surfzone and also their circulation pattern, allowing researchers to quantify the hazard posed at any given time. University of Canterbury (UC) Coastal Geomorphologist Dr Seb Pitman is employing cutting edge technology to try and understand these hazardous currents and better predict their occurrence. 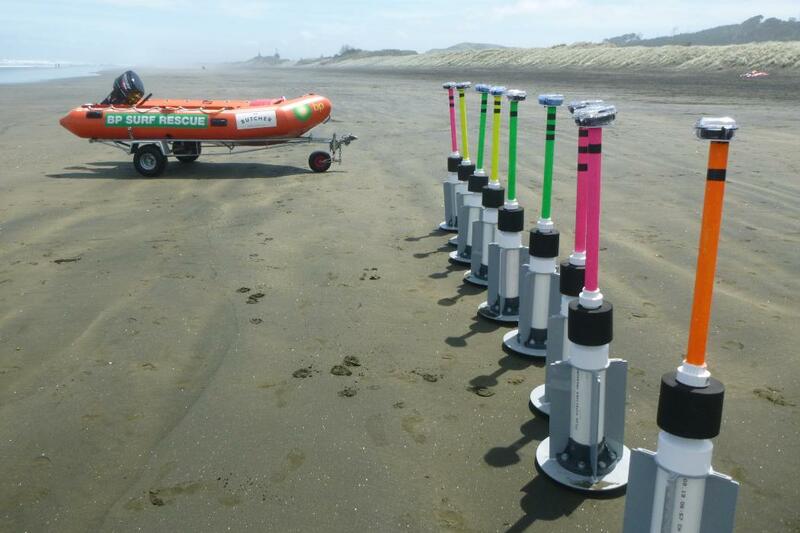 In conjunction with Surf Life Saving Northern Region and Plymouth University in England, a research team is currently deployed at Muriwai beach northwest of Auckland, where they are tracking the currents using GPS-enabled surfzone drifters. These drifters are designed to mimic someone floating in the water and the GPS provides information on current speed and circulation pattern. “What we’re really trying to pin point is the threshold at which wind, wave and tide conditions can all conspire to turn the rip current on or off. By comparing current speeds and circulation patterns to the wave height, wind direction, and tidal stage, we can hope to come up with a predictive index for hazardous conditions," says Dr Pitman. “The purpose is not to ‘red flag’ beaches and prevent their use, but simply to make people stop and think when they get to the beach. If they arrive and a warning is shown about rip currents being particularly hazardous that day, they now have that information on hand to make an informed judgement on whether they really want to go into the water, and if they do, then to carefully consider where might be best to swim,” Dr Pitman explains. The study concludes mid-February 2019, with the goal of developing real-time hazard prediction by next summer.